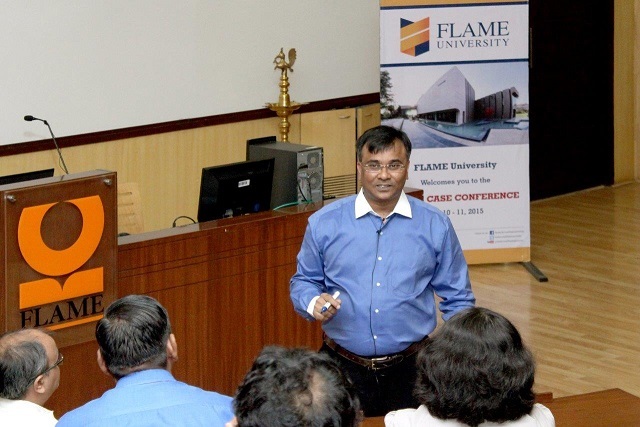 (a) Prof. Ganesh Prabhu (IIM Bangalore), Prof. Devi Vijay (IIM Calcutta) received ET Cases – FLAME Best Case Writer Award with a cash prize of Rs. 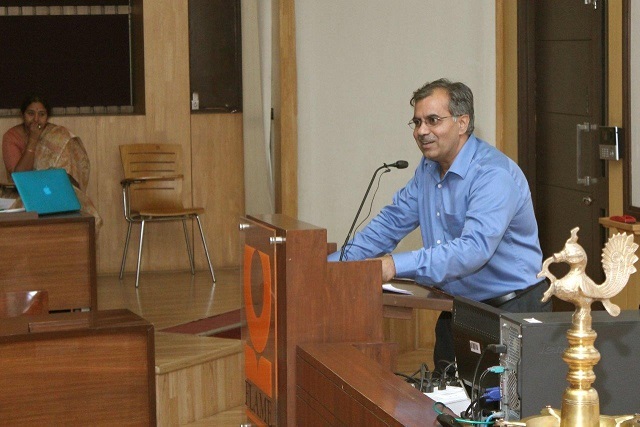 20000 for their Case titled, "Jaipur Rugs: Weaving Together 40000 Artisans". 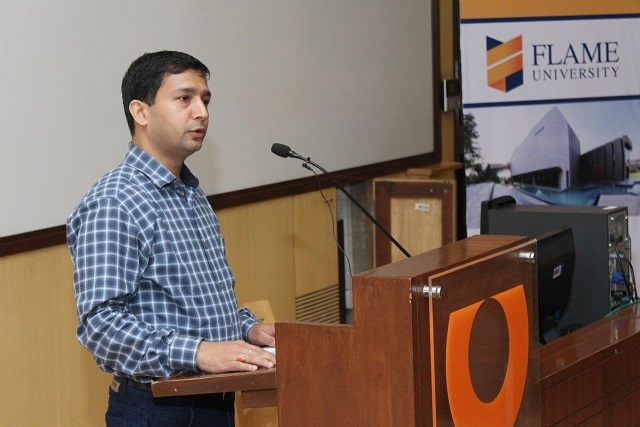 (b) Prof. Siddharth Saxena (IIM, Ahmedabad) received ET Cases – FLAME Young Case Writer Award with a cash prize of Rs. 15000 for his co-authored Case titled, "The WBS Merchandise Brand Store: A Case of Missing Exclusivity". 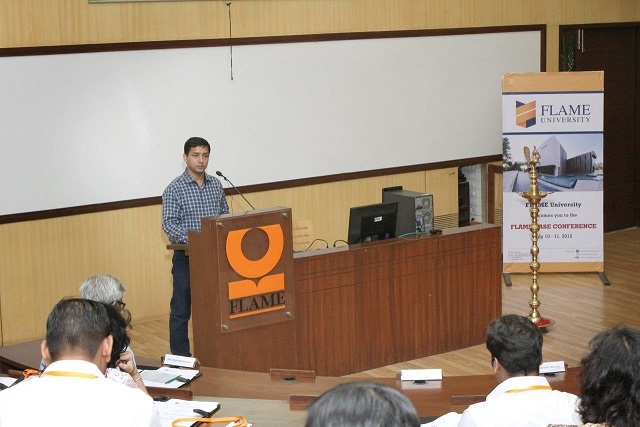 (c) Dr. Dipasha Sharma (SCMHRD,Pune), Dr. Dipali Krishna Kumar (SCMHRD,Pune) and Prof. Shagun Thukral (SCMHRD,Pune) received ET Cases – FLAME Case Innovation Award with a cash prize of Rs. 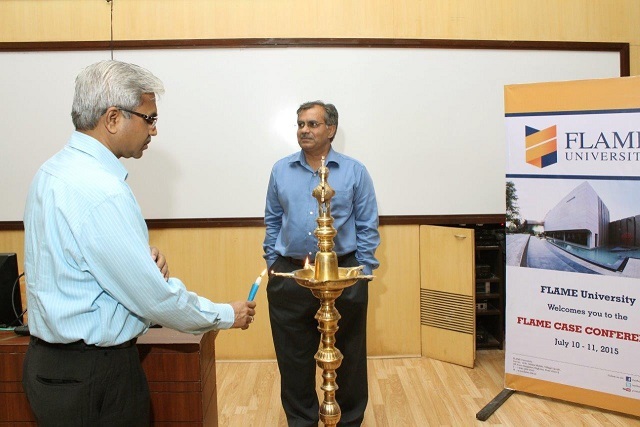 15000 for their Case Titled, "Inclusive Growth in a Mobile Way: m.Panni". II. 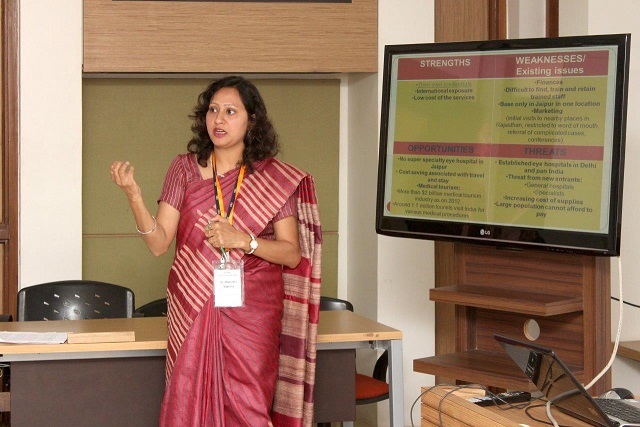 A panel discussion titled, "Learner Centered Pedagogical Approaches". 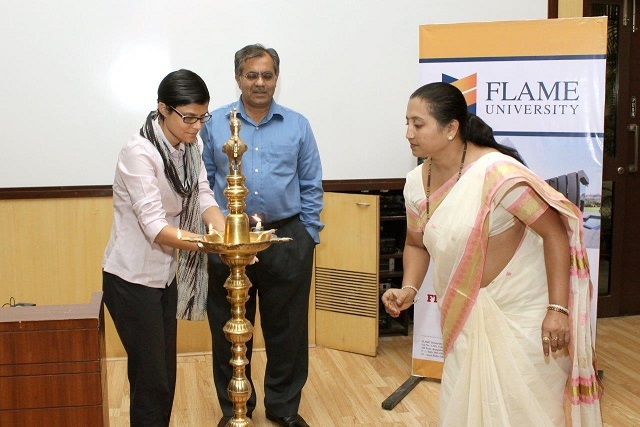 The discussion was moderated by Prof. Neeta Sharma of FLAME University. 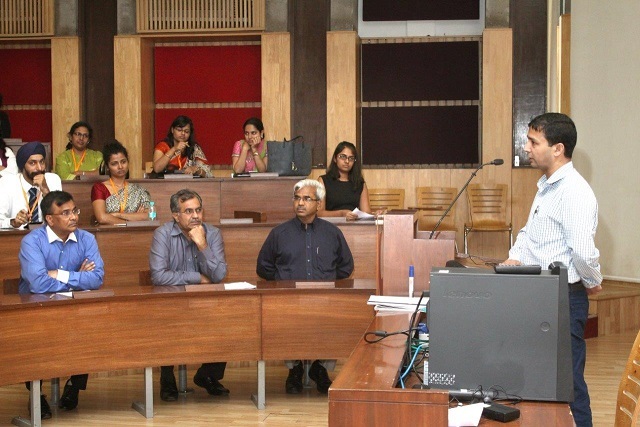 (a) Dr. Nagendra Chowdary, Vice-President & Head - Academics, ET cases highlighted the need of learner centered approaches given the short attention span of young learners. 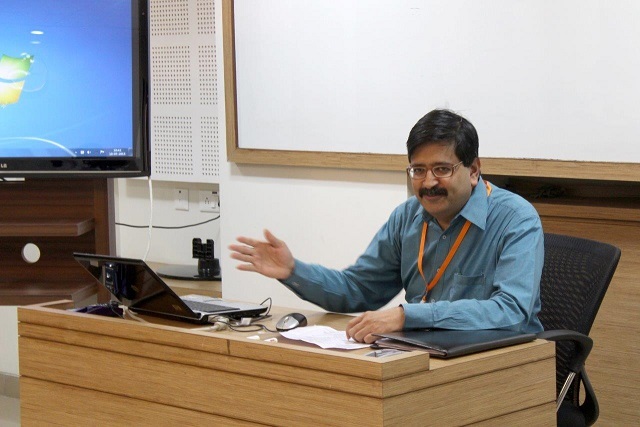 (b) Mr. Pushkar Kelkar of Harvard Business Publishing stressed the use of Multimedia Cases, Videos and E-learning Modules to actively engage the participants in the learning process. 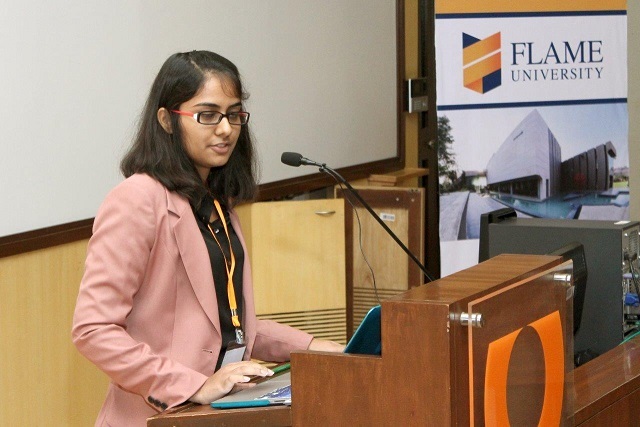 (c) Ms. Pooja Sharma, Director, Ivey India talked of skills expected by employers from MBA graduates and stressed on use of Presentations, Live-projects,24-48 hour reports, Learning teams, Role plays, Simulations, Team building exercises and Case studies to build those skills. 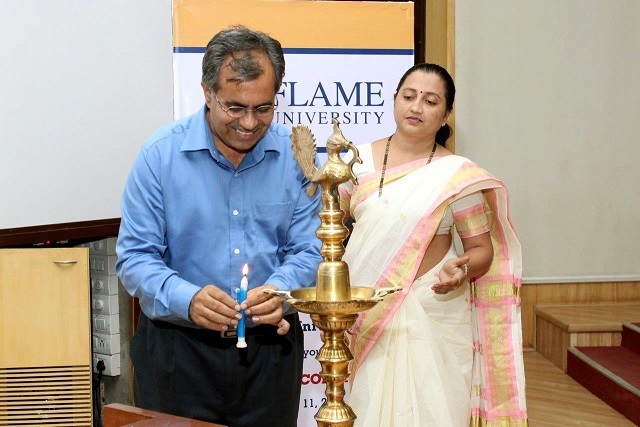 (d) Prof. Manoj Kumar, Chairperson, FLAME Centre for Case Development, FLAME University stressed that teachers engaged in higher education must learn the use technologies like mobiles and tabs to have participant centered learning in teaching of their courses. III. 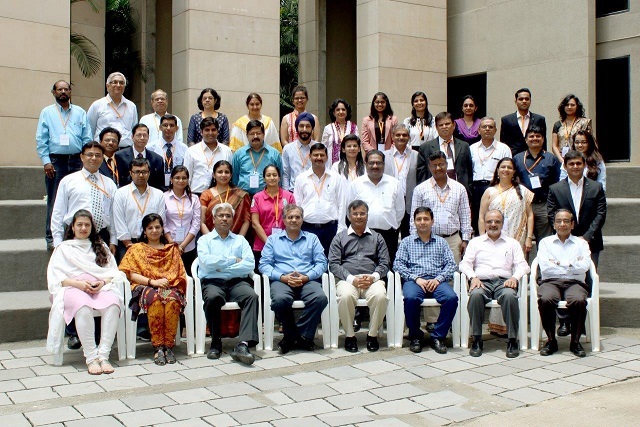 A total of thirty five cases contributed by fifty six authors affiliated to thirty five different institutions/universities/firms from across India were presented over two days. These cases were selected following a rigrous two stage blind-review process from the eighty four case abstracts initially received and forty eight full cases received in stage two of the review process. 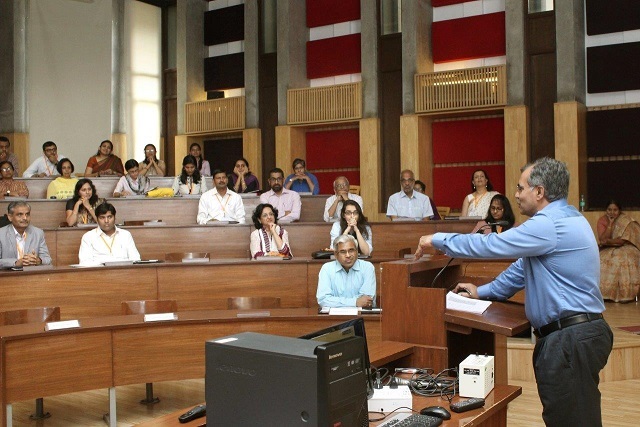 All conference tracks were highly appreciated by the participants. 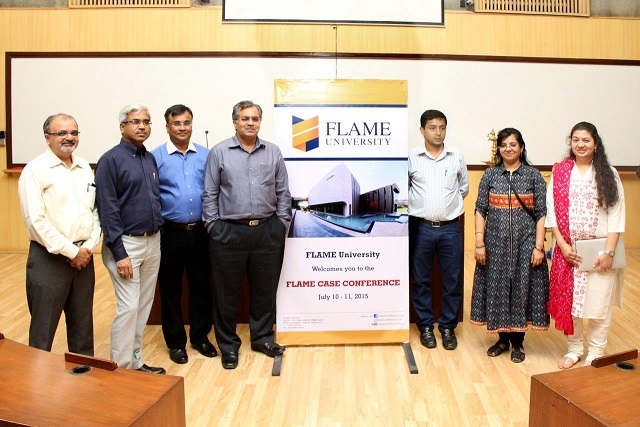 The overall meticulous planning and successful organization of the case conference was done by the conference organizing committee (Prof. Meenakshi Rawani, Prof. Niraj Mankad and Prof. Rupa Korde).